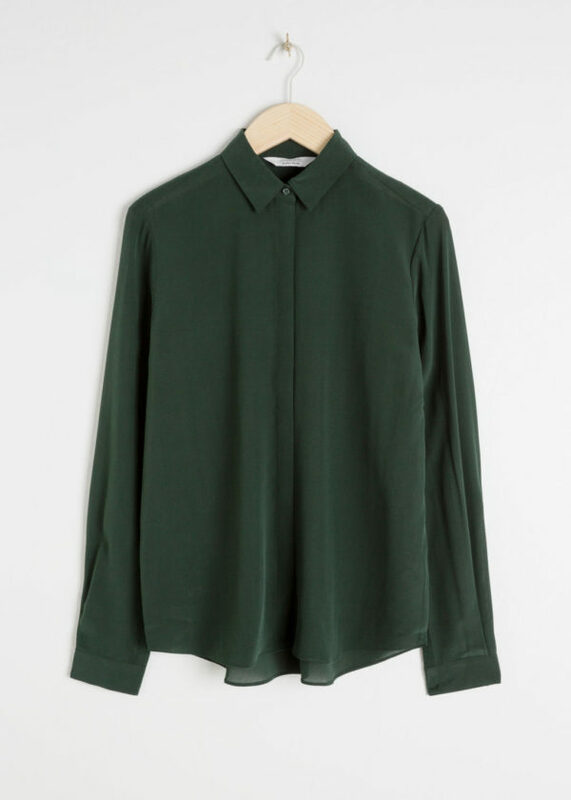 A classic green silk blouse from high street favorite And Other Stories. This straight-fit silk shirt features a relaxed shape with a slightly longer back, giving it a modern and versatile appeal. 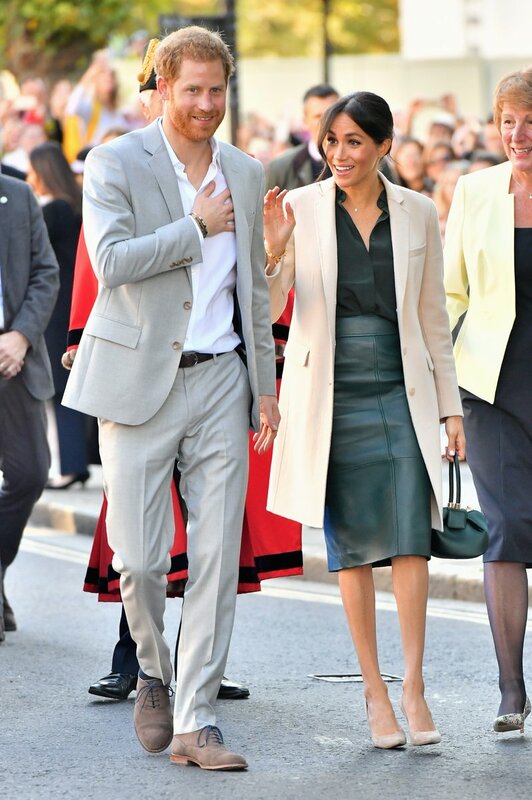 Meghan Markle wore the style in “Dark Green” in October 2018.